HR, Marketing, Finance, Operations and Project Management are all key functions of an organisation. These short audio perspectives give an insight into the roles in these areas and how they interact with the rest of the organisation, with examples of common problems, challenges and difficulties that are faced. This material forms part of The Open University course B716 MBA stage 1: Management: Perspectives and Practice. A HR representative explains how HR is a vital part of organisational strategy. This practical module covers topics in marketing and accounting and finance through activities and problem-solving. It takes a very practice-based approach to studying management concepts focusing on your own role. You can study this module on its own or start your OU management studies with it. However, you may find this module easier to engage with if you have studiedManaging 1: organisations and people(B628) first. This practical module covers topics in marketing and accounting and finance through activities and problem-solving. It takes a very practice-based approach to studying management concepts focusing on your own role. You can study this module on its own or start your OU management studies with it. However, you may find this module easier to engage with if you have studied B628 first. This MBA module is framed within the complex and challenging nature of twenty-first century management. Its dual aims are to help you build on your current understanding of management and enable you to develop and improve your practice of managing. This module is a seven-month programme of professional development which requires your active engagement with a wide variety of materials, activities and resource to enlarge your knowledge of the functions of management and make a real difference in your own context of managing. This MBA module is framed within the complex and challenging nature of twenty-first century management. Its dual aims are to help you build on your current understanding of management and enable you to develop and improve your practice of managing. This module is a year-long programme of professional development which requires your active engagement with a wide variety of materials, activities and resource to enlarge your knowledge of the functions of management and make a real difference in your own context of managing.There is also a fast-track version of this module enabling you to complete the MBA within two years, see MBA stage 1: management: perspectives and practice (fast-track) (BXFT716) for more information. Whether you are a project manager, an aspiring project manager or a member of a project team, this online module will support you in improving your practice and making your contribution to the project even more effective. You will gain an understanding of the essential steps in the project life cycle and reflect on the techniques available to you and how they can be applied. You will have the opportunity to review, in the light of your new knowledge and experience, a project on which you have already worked. The topics covered include stakeholders, finance, risk, people, project administration and quality. This qualification is designed to support professional development and practice in a wide range of roles in finance ? whether you are developing in your career or aspiring to enter the sector. It is applicable to roles in areas such as investment banking, portfolio management, corporate finance, treasury, and consultancy. It provides a thorough grounding in areas such as corporate finance, financial decision-making, financial reporting and governance. It develops competences in applying statistical and econometric techniques, and equips you with knowledge of the fundamentals of Islamic and behavioural finance. You can choose to specialise either in derivatives and financial risk management, or in investment and portfolio management. 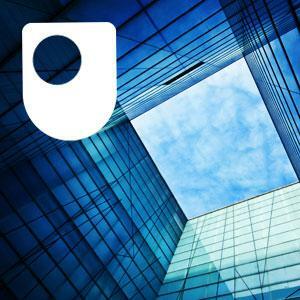 Some of the material presented here is from the Open University BA (Honours) Business Management qualification, which Students with an HNC or HND in Business can transfer credit to. What does it mean to be a manager? Being a manager is a complex and challenging activity. This free course, Management: perspective and practice, introduces you to the role of the manager. In this OpenLearn course you’ll look at an array of activities including leadership, human resources, finance, project management, change management, operations management and stakeholder management.